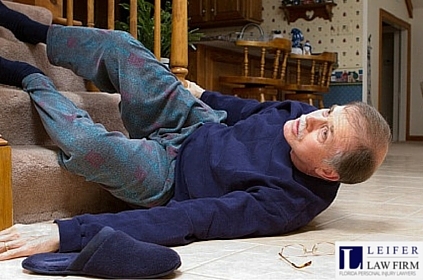 What happens after a slip and fall accident? Is there a type of compensation available for your injuries? Do you qualify for it? Slip and fall accidents are some of the most common injuries in America but realizing compensation for injuries is unrealistically tough. Never despair, a Boca Raton slip and fall accident lawyer can help you find justice. Slip and fall accidents, also known as trip and fall, are covered under a broad range of personal injury cases in tort law, which refers to personal injuries sustained when a person slips and falls while on someone else’s property, resulting in injury. Learn more about slip and fall accidents here. These factors cause accidents inside premises and can occur anywhere from offices to schools to shopping centers, parking lots, hotels, grocery stores, restaurants and business premises. Check out this site to learn more about the legal repercussions of a slip and fall accident. While accidents like these may look clumsy, the internal injuries sustained could be severe. According to the National Safety Council, falling accidents are the second largest cause of unintentional deaths in the United States and the leading cause of injury related deaths for persons aged 65 and older. According to the Center for Disease Control, in 2013, one in three adults slips and falls every year, leading to 2.5 million nonfatal falls treated in hospital each year, of which 734,000 cases were admissions. 25,500 older adults died from their injuries that year. Injuries such as these could be life altering and can result in huge financial losses such as medical bills and lost wages—and then there is also physical and emotional suffering. Boca Raton slip and fall accident lawyers understand just how much anguish the recklessness of someone can cause you and your family, which is why they are dedicated to helping you find justice. Though slip and fall accidents are very common, there are no cut-and-dry rules on this sphere of law. This makes finding a remedy for injuries sustained more difficult. To win a case in court, a plaintiff must prove two things: the defendant’s knowledge of a hazard and his negligence to act to prevent potential injury. 1. Negligence – Slip and fall cases often rely on proving the negligence or lack of responsibility of a party. This means that for a plaintiff to lodge a successful slip and fall claim in court, the negligent party whose lack of proper care caused the hazard, should be identified, and prove his or her negligence to the extent of his causing the accident. Here’s an example: It is reasonable for a store clerk who just mopped an area to place a warning sign for visitors. Failure to do so shows a lack of reasonable care. 2. Knowledge – In slip and fall cases, reasonability is often pegged on knowledge of dangerous conditions. This means a defendant is negligent for hazards he or she was aware of. This further complicates the proceedings and extends the plaintiff’s burden of proof by making it his or her duty to prove the defendant knew of the hazard. This knowledge can be proved through a process called discovery, where experienced Boca Raton slip and fall accident lawyer request certain documents or camera recordings to help their case. 3. Reasonable expectation – Subsequent Florida amendments to legislature have allowed for plaintiffs who cannot prove knowledge to have an alternative by showing the defendant should have reasonably expected such an accident because of recurring conditions. This is much more difficult to prove. Proving negligence and knowledge of the hazard is a meticulous legal process that requires expert attention. Often, the complexity of these cases makes it difficult to find timely compensation. If you, a member of your family or a friend slipped and fell as a result of the negligence of a third party or institution, it is possible to get compensated for it. Visit here to learn how you can consult with a Boca Raton slip and fall accident lawyer to assess the viability of your case, as well as just how much compensation is available for you.